Monday. 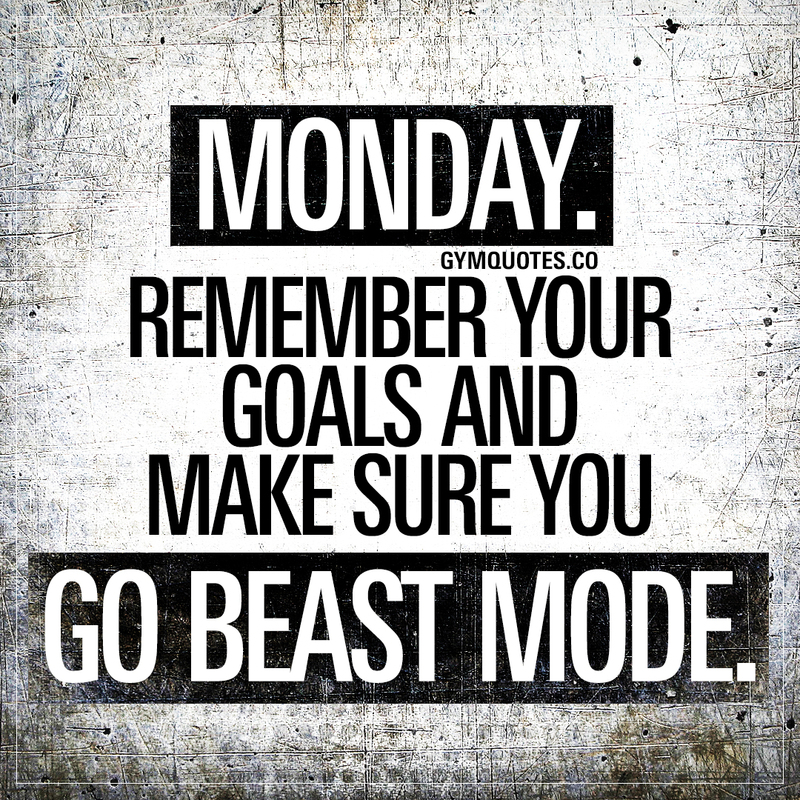 Remember your goals and make sure you go beast mode. This is when you remind yourself of your goals and this is when you make sure you go beast mode. Make sure you make the most out of this week! Motivate someone you know by sharing this Monday motivation quote! This Monday motivation quote (image and text) is copyright © Gym Quotes 2019.